In today’s world there is still a stigma when it comes to mental and spiritual health. Our&Are is a social media based spiritual coaching service focused towards women. They wanted to create a brand that is welcoming to women entering the world of spirituality for the first time. EightySeven worked collaboratively with Our&Are to develop their brand from the ground up. 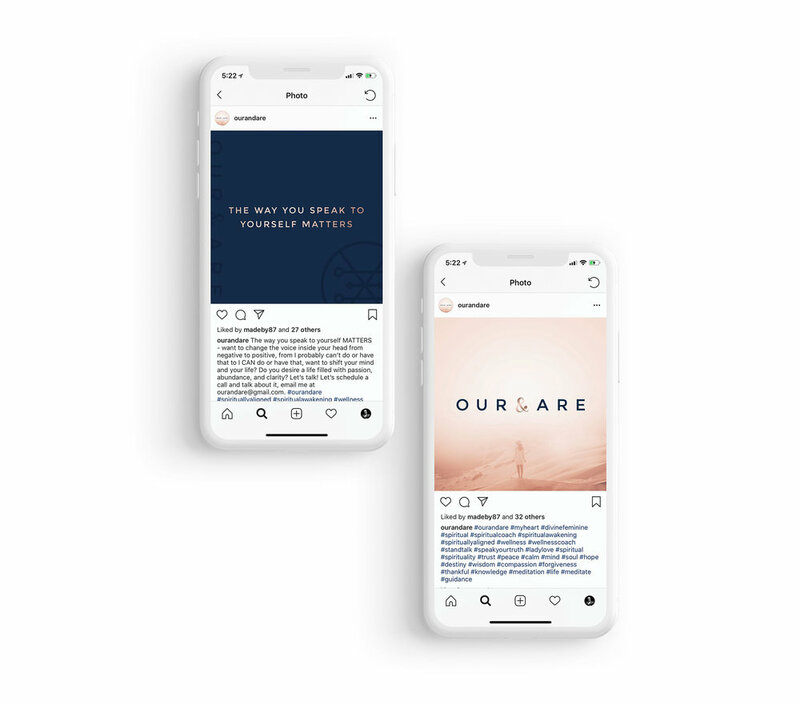 By creating the core values of the brand, we quickly created a mature, welcoming and professional brand that instills comfort to new clients as they try a new expeirence for their own mental and spiritual health.